This page contains pictures and information about Treehopper Mimicking Flies that we found in the Brisbane area, Queensland, Australia. Pictures were taken at Macgregor Bushland during mid summer. 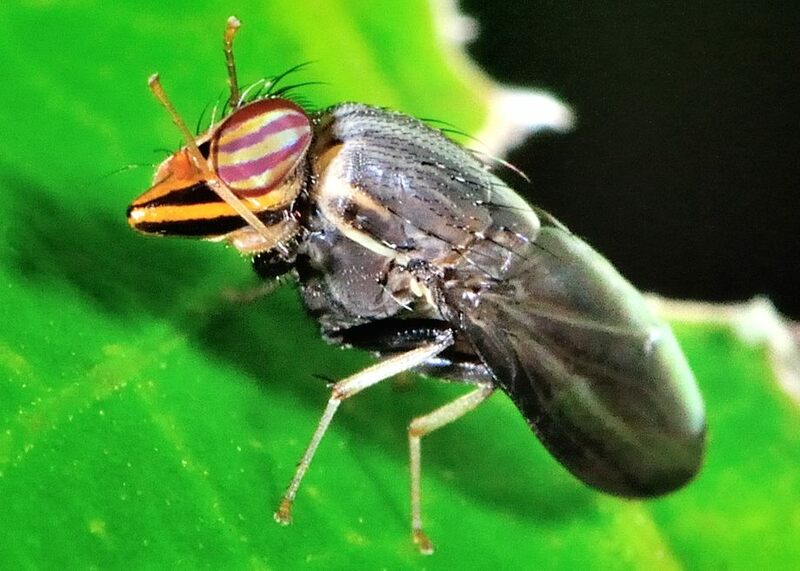 This fly looks like a Treehopper. 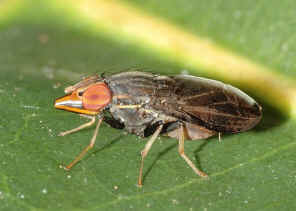 It is hard to understand what is the advantage of mimicking a Treehopper. Then we learnt that some insects mimic others because of their fast speed of escape. Predators do not border to hunt them because predators expected those fast moving insects are too hard to capture. 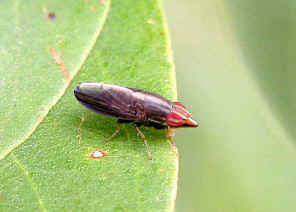 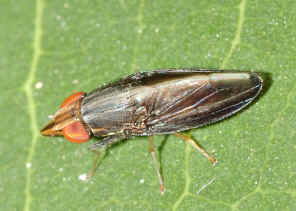 This could be the reason of mimicking treehopper. 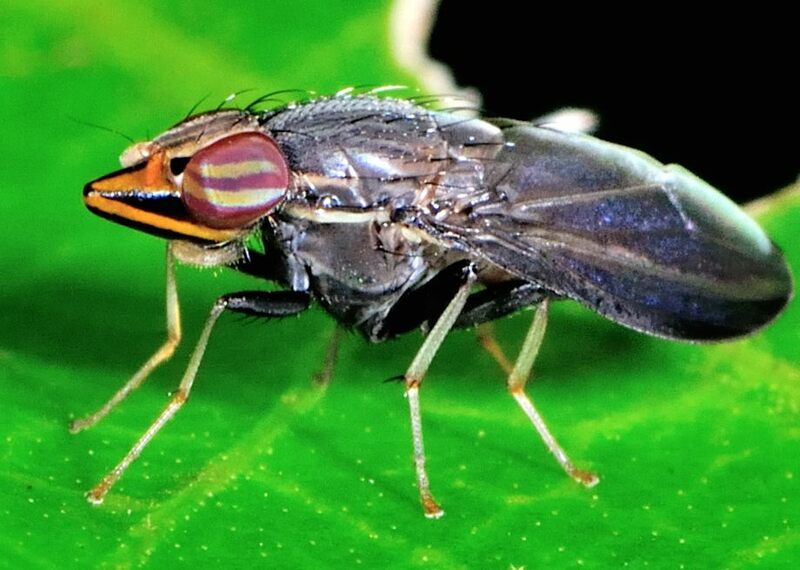 We sometimes find them in our backyard during mid summer. 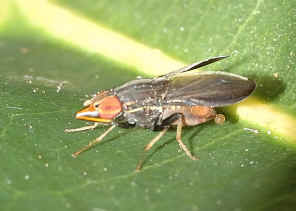 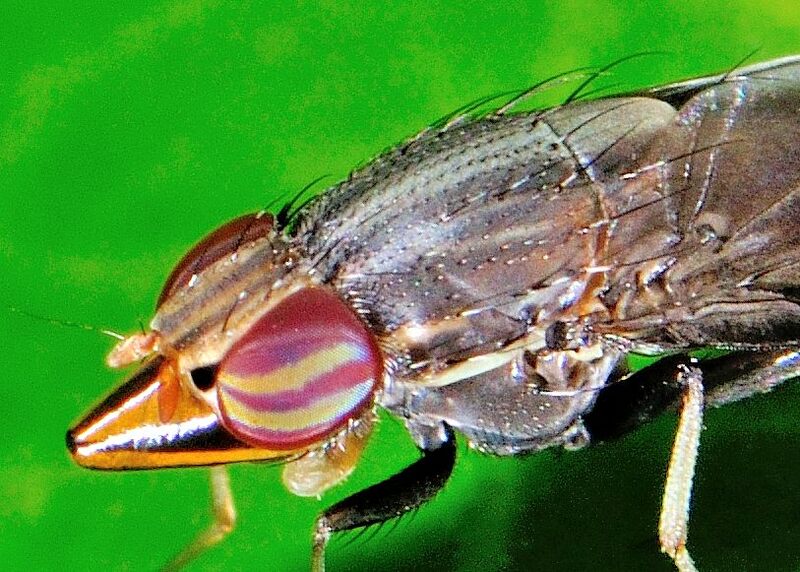 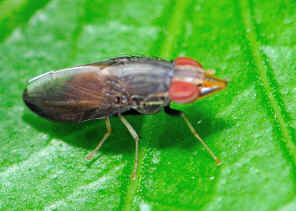 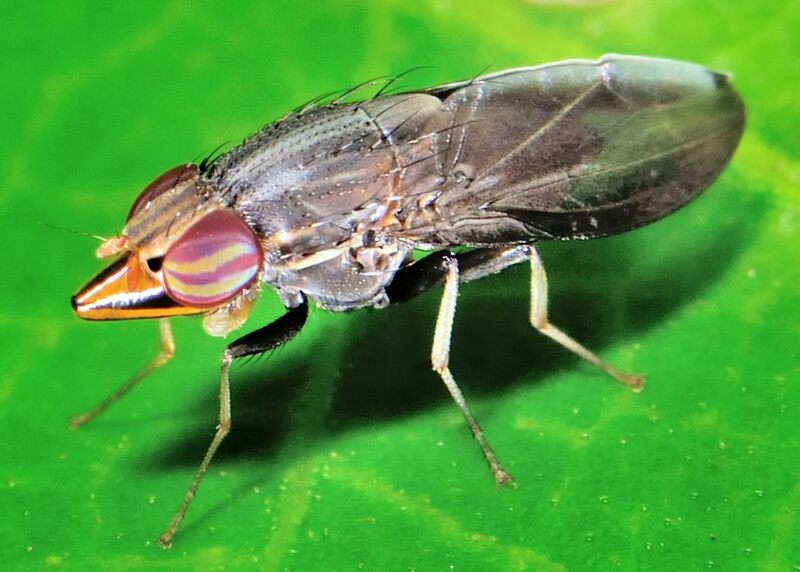 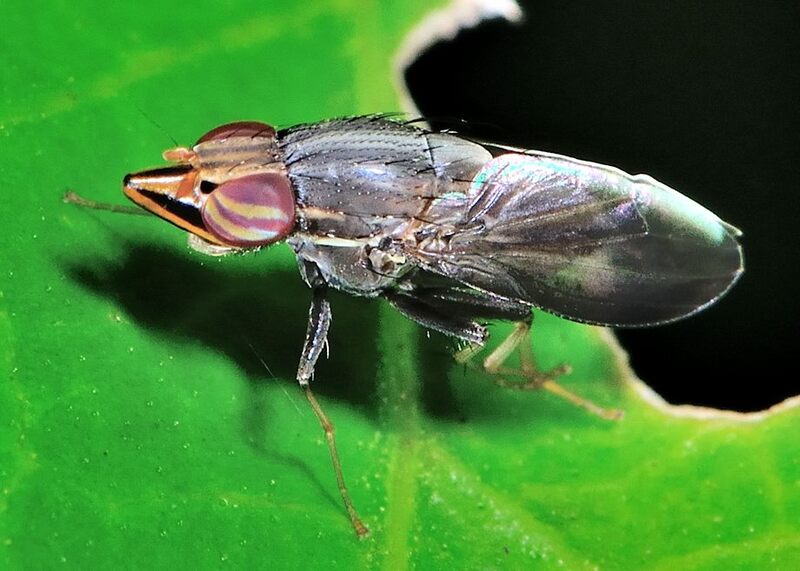 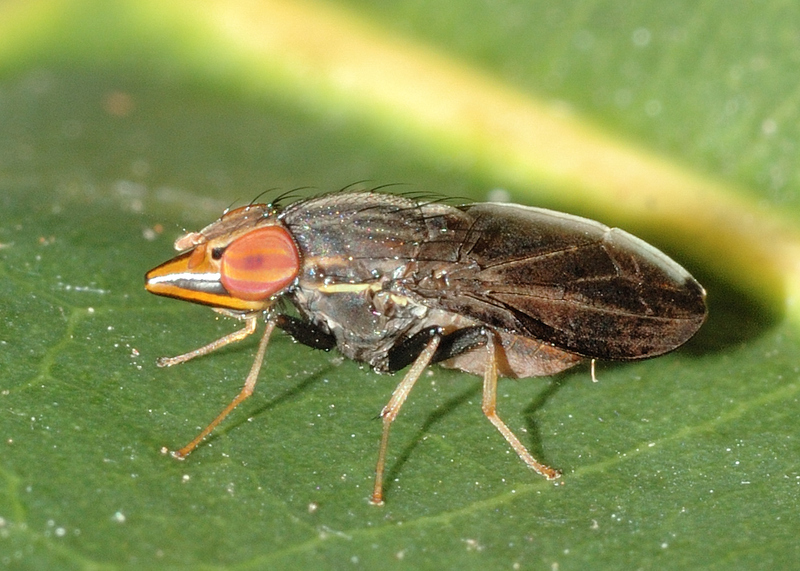 This fly usually found resting on large green leaves. The fly has a blunt long cone shaped face with a black spot and longitudinal stripes. 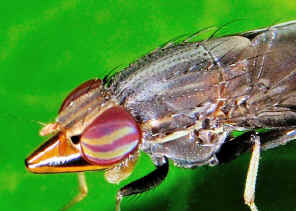 All femora are dark brown to black in colour. 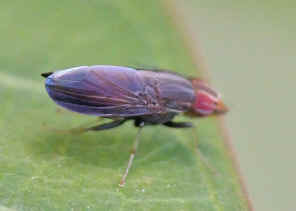 Other parts of legs are pale colours. 3. 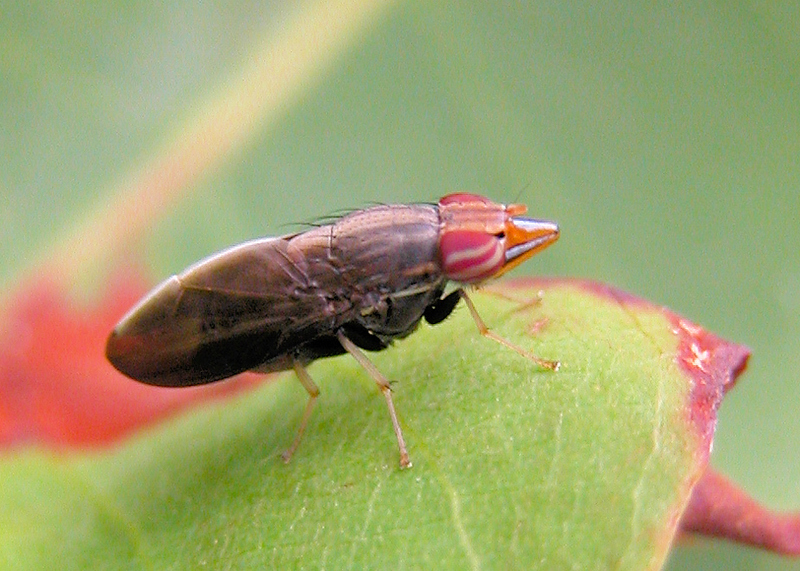 Australian Lauxaniid Flies - SP Kim, Revision of the Australian Species of Homoneura van der Wulp, Trypetisoma Malloch, and Allied Genera (Diptera : Lauxaniidae), CSIRO Entomology, 1994, Fig.2, p36.